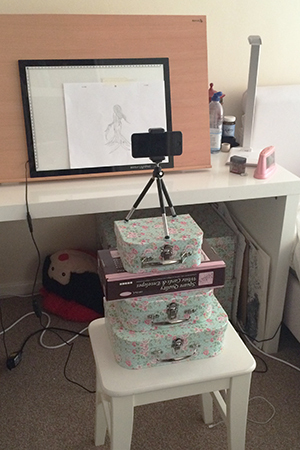 Method that Summer has worked out to draw on her lIghtpad at home. 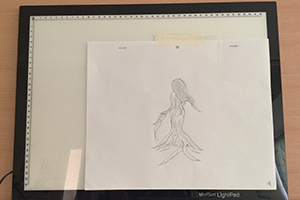 I think I got my A3 LightPad during the Summer to help me with character design and retracing old drawings. So I've had it a few months. My light pad has a chunky black border around it so I line the bottom right hand corner of the paper with the bottom right hand corner of the light pad. So that the paper fits on the edge of the black border. 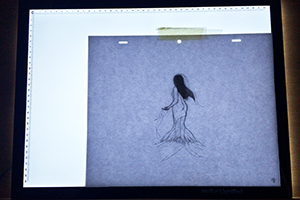 The light pad creates static if I slide the paper down onto it so the paper is essentially held in place by the static but I add a little bit of masking tape just to secure it. And I do the same when I then take photos on the stop motion app so it stays registered. I've been using the paper handed out to us which works just as well as tracing paper. Even the bog-standard normal printing paper works well. 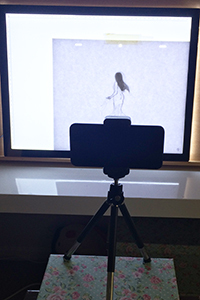 I use stop motion pro with phone on a mini tripodI bought that seems to be working well so far as well.